First we'll enjoy a little music courtesy of Carmen Borgia and select members of Jumbo Bungalow. 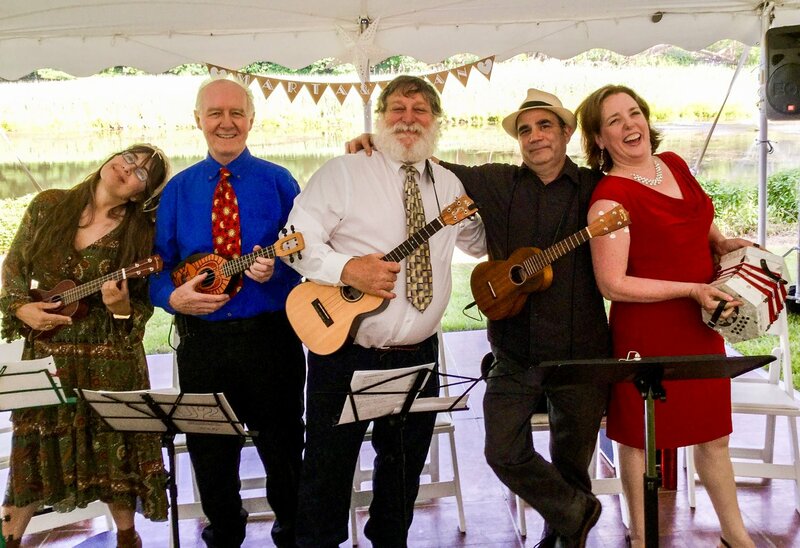 Then the loaner ukuleles will come out, and we're welcoming you to try your hand at what has been described as "not an impossibly difficult instrument to play, quite enjoyably, with a bit of initial guidance." Come and listen. 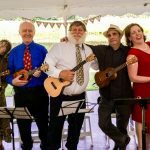 Come and join in with your own uke, or come and try out one of our beginner instruments. There will be a brief introductory lesson after the pros play. FREE. This program was made possible, in part, with public funds from the New York State Council on the Arts Decentralization Program, with the support of Governor Andrew Cuomo and the NYS Legislature, and is administered in Delaware County by the Roxbury Arts Group.